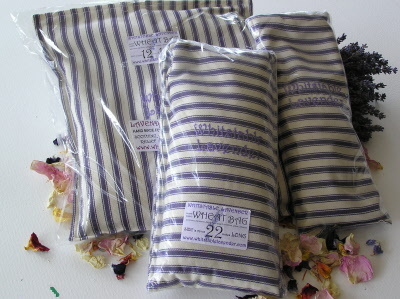 various sizes of Wheatbag that can be heated in a Microwave. 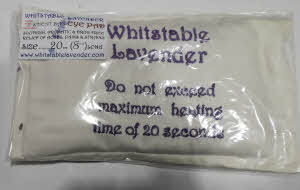 - Ensure you follow the instructions. 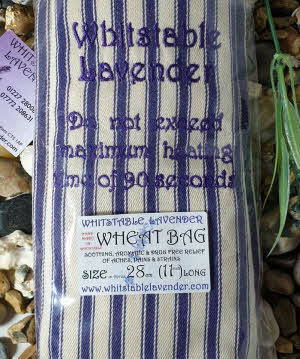 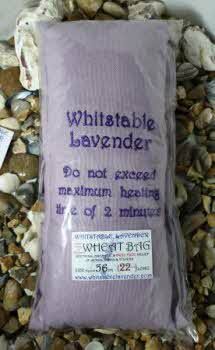 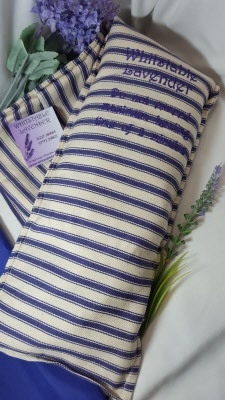 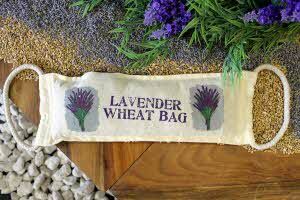 Soothe your aches & pains with a Wheat & Lavender Bag from Whitstable Lavender. 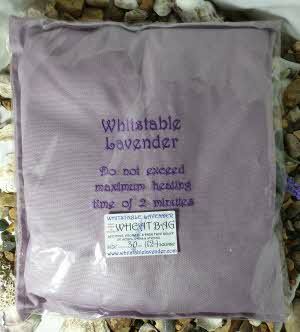 Can be put into a microwave or freezer. 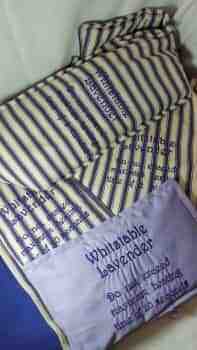 The outer embroidered cover can be removed for washing.